The support agent dashboard is visible in the below image. The options in the header menu are available only when at least one ticket is selected. The vertical menu on the left allows access to tickets under various categories. The agents can view all tickets along with the tickets assigned to them. In addition to "All" and "My Tickets" the dashboard also provides access to all tickets assigned to the agent's team. In the below image the agent is a member of the support and sales teams so "Support" and "Sales" options are also accessible. Agents who are not an administrator can access their reports. Know more about Reports. The below image depicts the summary report for the agent. Reports are accessible to agents so they can monitor their performance. Along with the summary, report agents can access all of their other reports under the same section. The below image depicts the ticket interface, agents can reply to the customer with ease. Enter the response text in the field provided and hit send. Agents can send responses as "Send as Closed," and "Send as Open," along with the option "Save as Canned Response" to save the message for future use. Agents can access and edit their Profile in the My Account section. 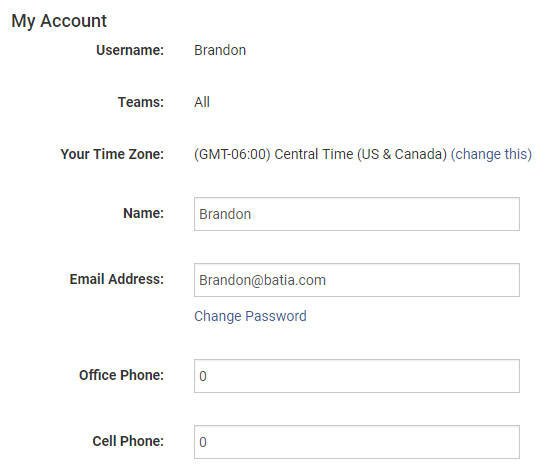 Manage actions like updating password, name and profile picture.